Discover your child's primary language--then speak it--and you will be well on your way to a stronger relationship with your flourishing child. Every child has a unique way of feeling loved. When you discover you child's love language--and how to speak it--you can build a solid foundation for your child to trust you and flourish as they grow. "This book is absolutely a MUST-HAVE for parents. The version of this book for adults has made a huge impact on my marriage in understanding what individual needs are. And to have this available for our children is a blessing. I have vastly different children who have vastly different love languages and knowing that has helped me connect with them more and be able to meet their needs. I recommend this book to all parents, even those with grown children." GARY CHAPMAN--author, speaker, counselor--has a passion for people and for helping them form lasting relationships. He is the #1 bestselling author of The 5 Love Languages series and director of Marriage and Family Life Consultants, Inc. Gary travels the world presenting seminars, and his radio programs air on more than 400 stations. For more information visit his website at www.5lovelanguages.com. The late ROSS CAMPBELL, M.D., was the author of the bestselling book How to Really Love Your Child, which has sold more than one million copies. He spent over 30 years as a clinical psychiatrist, concentrating on the parent-child relationship and later worked with the Ministering to Ministers Foundation, serving individual ministers, their families, and church organizations. 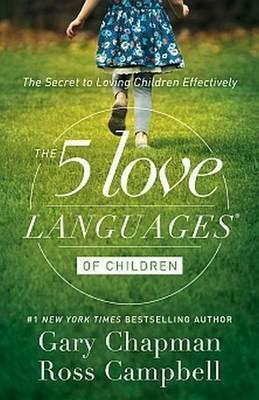 Dr. Campbell was the co-author of The Five Love Languages of Children and Parenting Your Adult Child and author of How to Really Love Your Teenager.